The European Commission launched Thursday an infringement procedure against Austria for the controversial law on adjusting childcare allowances to foreign workers who do not live with their parents on Austrian territory, a normative act that entered into force on 1 January. The Austrian law on adjusting child allowances for foreign workers who do not live with their parents in Austria came into force on 1 January. This law, drafted by the Vienna coalition of conservatives and the extreme right, modulates family allowances paid to foreign workers according to the cost of living in the country where their children live. For example, the new normative act reduces from EUR 172 to EUR 85 the amount of monthly benefits paid by Austria for a three-year Romanian child and EUR 97 for a Hungarian child aged three years. The law will apply to almost 150,000 children living outside of Austria, including many Romanians, this promise in the election campaign would allow the Vienna government to save at least 100 million euros a year. Under the rules applied before 1 January 2019, the allowances granted by the Austrian social assistance scheme could amount to EUR 233 per month for a child, which the Vienna Government regards as disproportionate to the level of prices and wages from some neighboring countries. 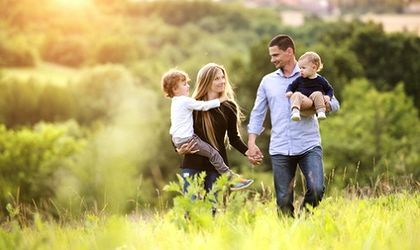 On January 7, the European Commission announced that it would closely analyze the Austrian law on adjusting allwances for foreign children who do not live with their parents in terms of its compatibility with EU rules, but said that in principle Community legislation does not allow indexing of these benefits.